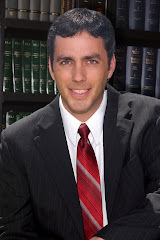 Greg Ryan & Associates, Attorneys at Law, LLLC: Divorcing? Don't Forget the Kids. Divorcing? Don't Forget the Kids. When parents divorce, children are often unintended victims. Children will, understandably, be upset by their parents' decision to split, and they may suffer emotionally from the disruption in the home. When a child’s emotional health is not managed and nurtured, school performance may decline; the child may act out in various ways, or suffer from low self-esteem. Experts report children of divorce are more likely to perform poorly at school and suffer academically. They often get in trouble with police or school authorities for aggressive behavior and may become depressed. Additionally, children with divorced parents may have social problems and difficulties relating to others. Older children of divorced parents may become sexually active at an earlier age, participate in delinquent activities and experiment with drugs. Divorce interrupts children’s lives and can shake their trust in adults. To prevent many of the problems children may experience during divorce, parents must recognize and address the stress the divorce is causing their children. Some children may benefit from counseling with a professional who specializes in child psychology and the effects of divorce on children. However, parents can also do a lot to mitigate the damage by being respectful of the children’s need for stability. Parents should avoid arguing in front of children and not involve them in any marital disputes. In many cases, divorcing parents can communicate through divorce lawyers and eliminate stress for them as well. Each parent should spend time with the child and provide reassurances that the parent-child relationship will not change, although the circumstances and schedule likely will.